Directions for use: Always wash hands before and after treating a wound. 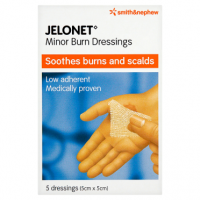 Clean wound with either an antiseptic liquid, antiseptic wound wash or water. 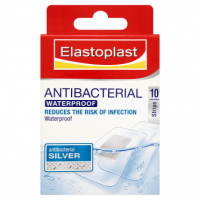 Gently dry skin and apply plaster. Use once only. Change only as necessary, typically once daily. If the wound continues to bleed or becomes swollen, reddened or painful, seek medical advice. All in one healing system. 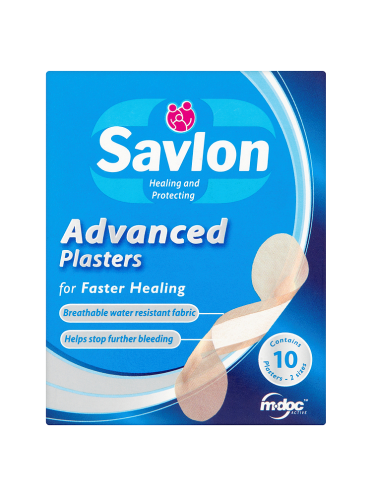 Savlon's Advanced plasters are designed to speed up the body's healing process by creating ideal conditions for everyday wounds to heal quickly. The protective m-doc pad contains a special ingredient that stops bleeding fast and can control further bleeding, so speeding up the start of the natural healing process and helping cuts and grazes to heal more quickly. 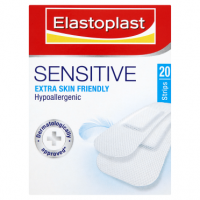 Highly breathable: fabric backing allows the skin to breathe, creating an ideal balance of air and moisture around the wound to enhance healing. New material: looks like fabric and is stretchable and comfortable, but is water resistant and has great sticking power. 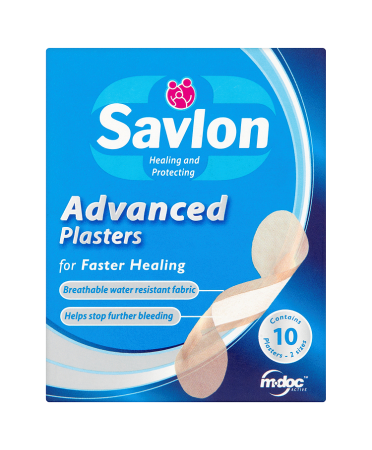 Unlike some plasters, Savlon Advanced Plasters seal effectively all around the wound to keep out infection. Ultra comfort fabric: moves with you and leaves no sticky residue. 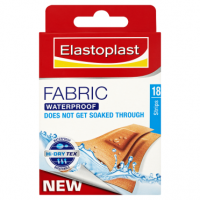 Water resistant: does not come off in water, does not hold water, dries quickly.